^Looks great, will be nice to have this whole performance on DVD. It's the '72 3-guitar lineup w/ Estrada/Tripp rhythm section. The Zappa one is due out end of July. Filmed on 19th June 1970. Tracks: 1. MAIN INTERVIEW 01:26:44 , 2. EDITED INTERVIEW 7:58. Have seen parts of this on a boot VHS which contains the Mothers @ Beat Club '68 performance. Apparently they're going to issue that one later in the year. Has anyone seen any other artists on these "Lost Broadcasts" DVDs? How is the quality? I saw the Beefheart DVD advertised on the Beefheart site but I couldn't seem to find out exactly what the frigging hell was on it - outside of Booglers that is. Now I have read the link in your post I am absolutely shitting myself - I can't wait to see the entire performance. The whole band look like hot shits during that performace. Note the tracklist, some songs repeated, etc. It's gonna be the full, raw tapes. Some (most? except the actually broadcast Booglarize?) with blue backing before they put the hippie effects in per the infamous vid, multiple angles, ETC. This is HUGE! Can't wait...great year thus far for CB fans. Last edited by brainpang on Sun Jun 17, 2012 11:07 am, edited 1 time in total. You're dead right this is HUGE brainpang, this is bigger than my 1 year wedding anniversary that is coming up in September. I would like to see the full Zappa interview but I ain't spending that much on it. Last edited by thenoisydrum on Sun Jun 17, 2012 11:37 pm, edited 1 time in total. Last edited by brainpang on Sun Jun 17, 2012 11:08 am, edited 1 time in total. A quick update. If you scroll down this page you can see Rockette's bass solo! I just watched a couple of seconds (with the sound off) but I want to save it untl the DVD arrives. UPDATE: "due in" July 2 (UK) according to the label site. Direct from the label or ???? Amazon listings are all messed up, hope I don't end up with an Iron Butterfly dvd. Brainpang, it was waiting for me when I got home this evening!!!!! You won't be disappointed. Loads of great closeups of Artie too. In fact too many cause the camera man pretty much remained on him whilst Beefheart introduced the band members. A rare thing in Beefheartland - a great live performace that is well filmed too. A band of extremely talented musicians. Muchas Gracias, ND...like ahcid before , it's a great year for CB fans. Finally grabbed the FZ "Lost Broadcasts" DVD, $8+ shipping from an Amazon seller. Pretty cool interview. Some of the interviewers' questions & the back & forth to the chalkboard stuff slowed it down a little, but Frank was so cool on this. Very tolerant and seemed pleased to talk about anything. Not something I'll watch that often, but a nice add to the collection. Can only wish the Mothers Beat Club '68 footage gets released like this. Can only wish the Mothers Beat Club '68 footage gets released like this. Wayside Music (www.waysidemusic.com) are listing the Zappa/Mothers Beat Club DVD in their new arrivals section, selling for 18.00 U.S. It looks like this sucker has been released. Wayside Music (http://www.waysidemusic.com) are listing the Zappa/Mothers Beat Club DVD in their new arrivals section, selling for 18.00 U.S. It looks like this sucker has been released. Ordered last night, and it shipped today . They seem to be the first online store in the US to have it, nothing at the big places yet. $21 with shipping. Wayside is a cool online music store. Always great service. Haven't watched this in years, on VHS, the 35 min feature. If this was some pile of crap bootleg like you see pop up on Amazon, I would avoid. 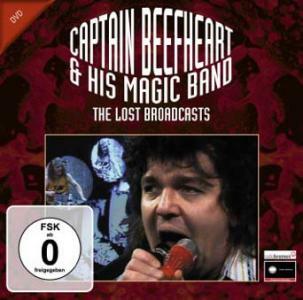 Gonzo Multimedia did a fantastic job on the Beefheart Lost Broadcasts DVD, so it's a no brainer. This DVD contains the full rehearsal as well as the original TV broadcast. It does not contain both. It only contains the B&W Rehearsal footage. Selecting the 'Original Broadcast' item on the menu only takes you to the 47 minute mark of the rehearsal footage, which is where the original broadcast would have started. The original broadcast was in colour. This footage is nowhere to be found on the DVD. Wayside Music is indeed one of the best mail order sites around. I started doing business with them in 1980. Sadly, the Canadian dollar is at an all time low compared to the U.S. dollar, plus the postage to Canada is fairly high, so I've got my fingers crossed that this will show up on Amazon Canada. Other Gonzo Media products have, so I'll assume this won"t be any different. So they're lying to us? Bastards! Actually, looking into this, did not they 'colour' the original B&W footage for that first broadcast? Well, I would find it difficult to believe that there would be the technology and interest to colourize a B&W TV program back in the old days. However, as unlikely as it may be, the fact that this new release advertises 'THE ORIGINAL BROADCAST' means that they should have included THE ORIGINAL BROADCAST whether the colour was authentic or not.